Well, the picture isn't very clear....OK, so it's not at all clear. 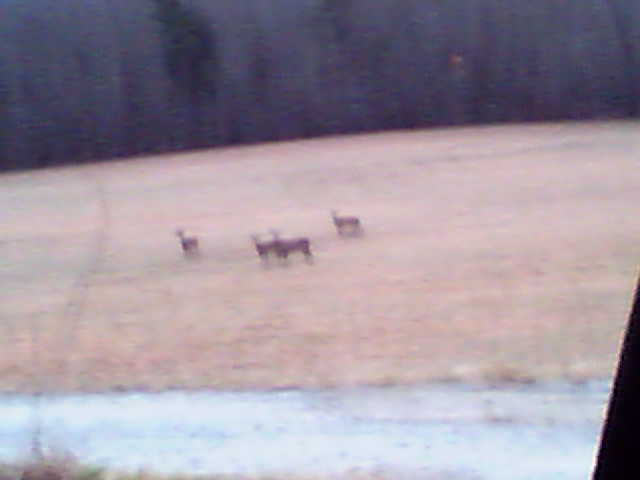 But, as I was driving home from work today, I drove by 4 deer out in the middle of the field. While deer are not an uncommon sight around my parts, it's not everyday you see them in the open like that in day time. It was refreshing to see them, and not just before darting in front of my car. My camera phone was the only camera I had, so I tried to take a picture.